The Finnish Defence Forces and Patria have signed an agreement on ballistic protection for NH90 helicopters. Patria will design and manufacture protective equipment for NH90 helicopters, which can be installed when operations so require. Ballistic protection shields both pilots and transported personnel during airlifts by the Army’s NH90 helicopters. 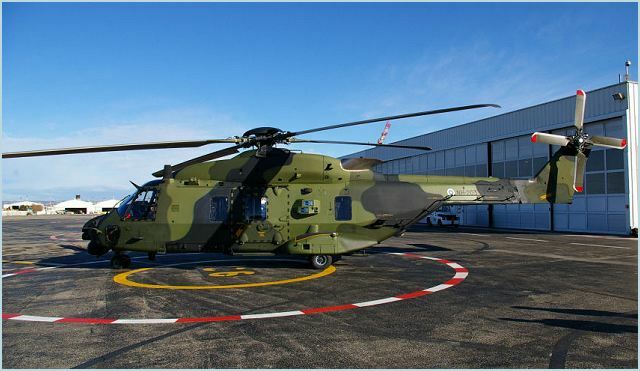 “The ballistic protection project is a prime example of how Patria’s expertise and design knowledge gained during the assembly of NH90 helicopters can be used to improve the NH90 fleet’s performance, while ensuring that the fleet can be used in all security situations”, comments Lassi Matikainen, President of Patria Aviation. The Finnish company FY-Composites Oy will supply the ballistic protection plates. Material technology developed by the company will be used in the protection plates’ structures. The project will be implemented during 2012–2014.